When You Sell a Car, Should the Buyer Sign a Letter Stating "As Is"? 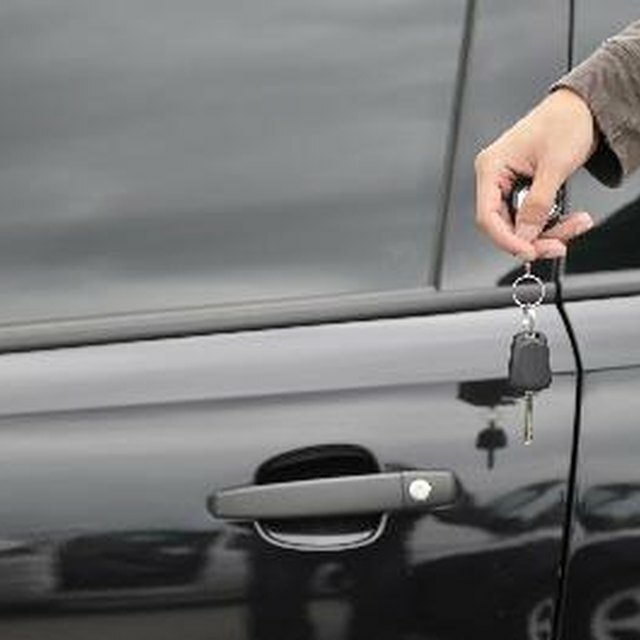 When you sell your vehicle privately, include a mention on your bill of sale that the vehicle is sold "as is." This limits your liability for any vehicle issues the buyer incurs after purchasing it, even though a buyer doesn't have much recourse after a private sale. Even so, document that the vehicle doesn't come with a warranty or any promises that you'll repair it. Whether your state requires a bill of sale or not, create one anyway. Find a standard template at your state's motor vehicles website or online from a form-template website — certain sites offer free forms to print for personal use. The bill of sale documents the sale and vehicle information, such as the date of the transaction, vehicle identification number, sales price, odometer reading, and buyer and seller information. Add a sentence to the buyer's order that reads: "The vehicle is sold as is without any warranties implied." Both you and the buyer sign the bill of sale and keep a signed copy. The manufacturer's warranty offers separate coverage from an "as is" sale. A manufacturer warranties vehicles for a specific term and mileage. If the vehicle is still under manufacturer warranty, the coverage transfers to the new owner without you having to mention it on the bill of sale. The warranty doesn't cover maintenance-related issues, such as tires, brakes, windshield wipers or any other damages caused by lack of maintenance. The warranty also doesn't cover cosmetic issues or body damage. Indicating an "as is" sale on the buyer's order limits your liability for these issues. If you purchased an aftermarket warranty, you may choose to transfer the coverage to the new owner if the provider allows it. Extended warranty coverage differs by provider, but if you have the coverage, call the company to ask how to transfer coverage. Just the same as a manufacturer's warranty, maintenance, maintenance-related repairs and body damage aren't covered under the warranty. Document the warranty transfer on the bill of sale; it should read: "The vehicle is sold as is, without any warranty implied. The sale includes the remaining coverage of a transferred extended warranty." Why Would I Need a Bill of Sale to Sell Property? Should I Cancel My Insurance Immediately After Selling My Car? If you're selling your car to a dealer or trading it in toward another purchase, you don't need an "as is" agreement from a dealership. Dealerships appraise vehicles and offer a price based on appearance and repair needs. If you're uncomfortable with the sale, you might consider asking the dealer to sign an "as is" agreement, but this is likely to caution the purchasing manager, and he'll likely reinspect your vehicle. You receive a buyer's order from the dealer that documents the trade of your vehicle, so you don't need a bill of sale.